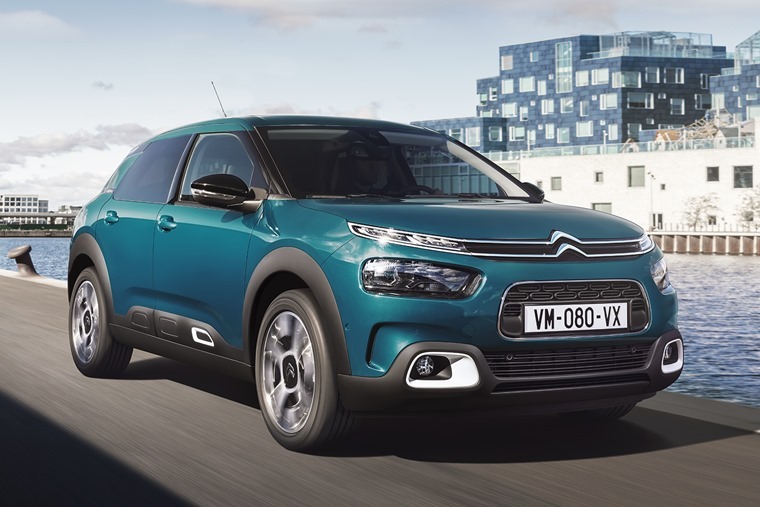 The updated Citroen C4 Cactus will be priced from £17,295 when it hits the UK in April. Lease prices are to be confirmed, but we’ll bring you deals as soon as they become available. The new C4 Cactus benefits from a comprehensive refresh and features a more subtle exterior look than its predecessor. A high-tech suspension system features too, as do additional safety and drivetrain options. The most obvious visual change is the smaller set of airbumps. They were arguably the most distinguishing feature of the outgoing model and, while they’re still present on the new car, they are much lower and slimmer. Similarly, the front and rear ends have been tweaked and the protective airbumps are much lower down at the bottom of the bumper. Combined with redesigned sets of LED head and taillights, it gives the whole car has a smoother, cleaner look. 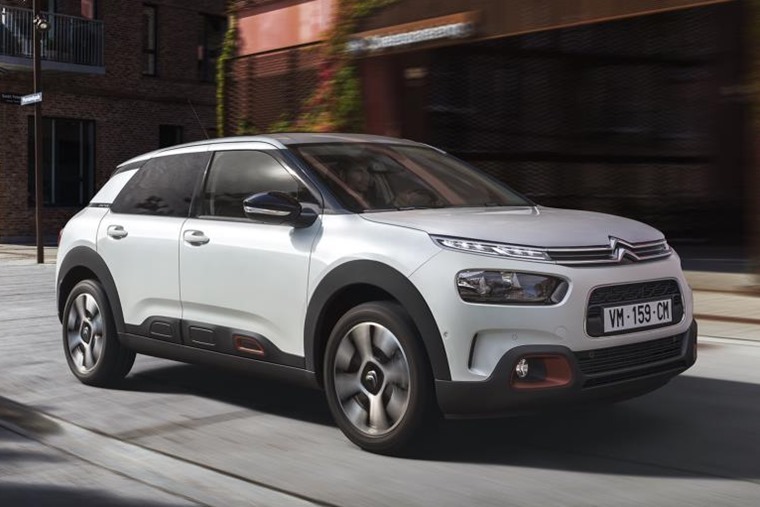 The arrival of the all-new C3 Aircross has confirmed Citroen won’t be dumping the larger bumps completely, although it has allowed it to give the C4 Cactus a bit of a conservative appearance while focusing on other aspects – notably comfort. 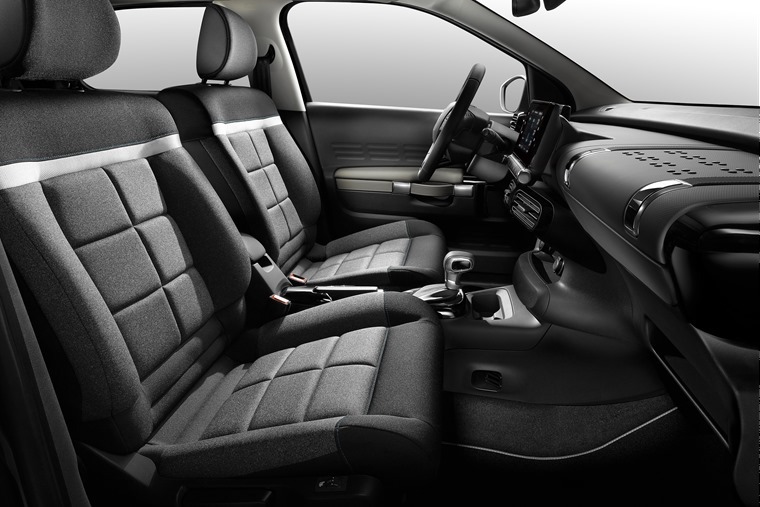 On that note, while the basic interior remains the same the seats have been redesigned and are supposedly more comfortable than ever, while extra insulation materials and new windows boost refinement further. 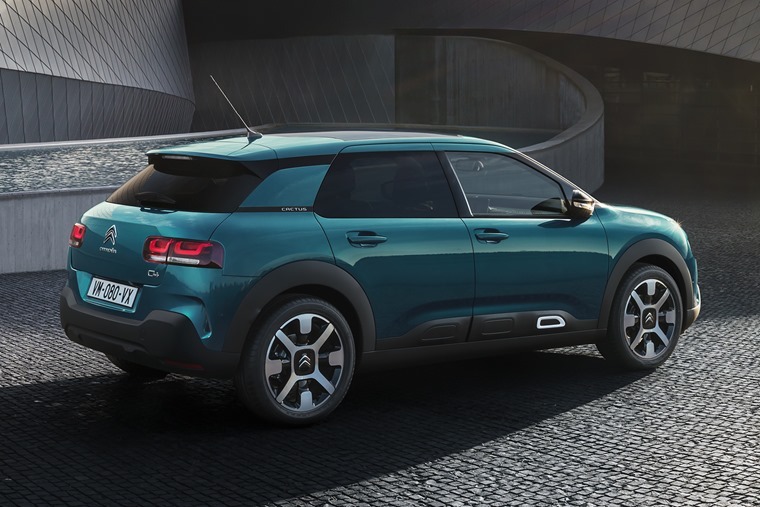 The most significant change for the C4 Cactus however is in the suspension department, where Citroen has employed its new "Progressive Hydraulic Cushion” system which promises to deliver a “magic carpet ride” – something Citroen was famed for in the past. 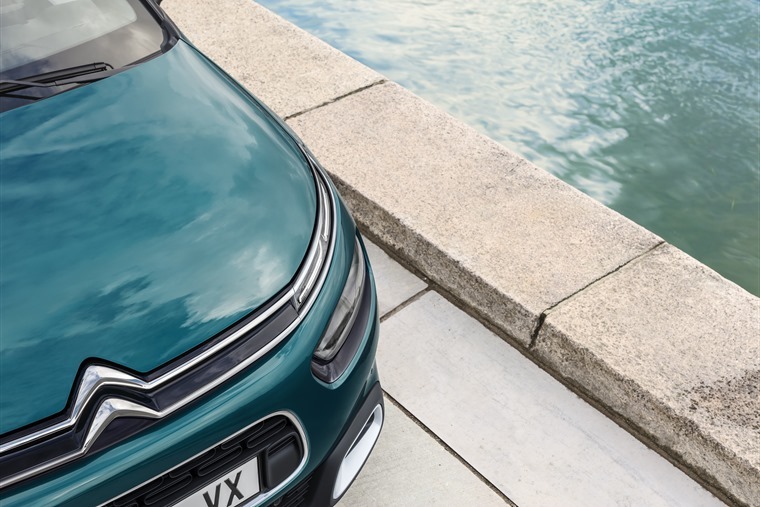 Citroen says the system absorbs road imperfections for a magic carpet ride effect, without adversely affecting the car’s handling or driving pleasure. 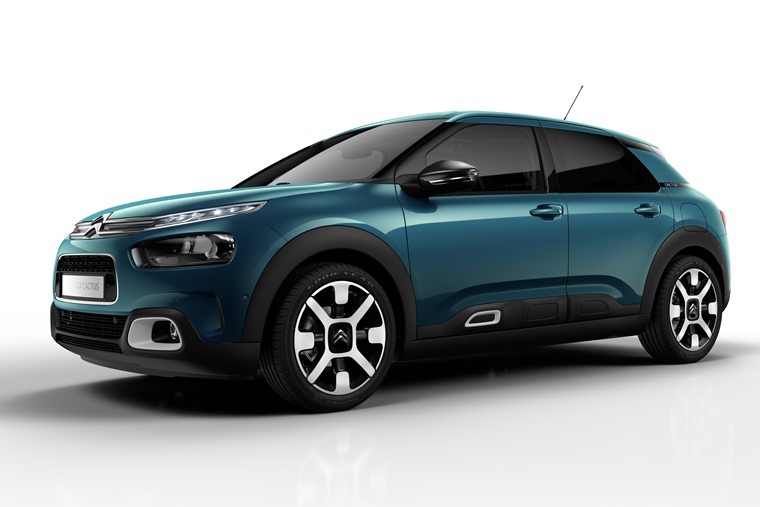 The C4 Cactus will be the first model to feature this new tech, although it’s more than likely it’ll become a feature on other Citroens too. Two standard trims will be available – Feel and Flair. There will also be an entry-level “Feel Edition” option at launch too. This most basic trim misses out on the new suspension system and makes do with the entry-level PureTech 82 petrol engine, but does feature Comfort seats, a 7in infotainment system, cruise control and 16in alloy wheels. The Progressive Hydraulic Cushion suspension technology is standard on other Feel models – priced from £17,965 – which comes with the more potent PureTech 110 petrol engine. It’s also available with the 100 BlueHDi diesel and newly introduced PureTech 130 petrol. Flair models get list prices from £19,865 and feature satnav, reversing camera, a panoramic sun roof as well as some updated safety tech. These include Active Safety Brake, Speed Limit Recognition, Lane Departure Warning, Blind Spot Monitoring and even a Coffee Break Alert Warning. In Flair guise, the 110 PureTech petrol is available with a six-speed automatic gearbox. First deliveries of the new C4 Cactus are expected to commence in April, and we’ll bring you the very best lease deals as soon as they are confirmed. If you can’t wait for the new model, we’ve hundreds of deals on the outgoing car or, if that doesn’t suit, the new C3 Aircross is available to lease now too.